Molly Weasley: "Your sons flew that enchanted car of yours to Surrey and back last night." Arthur Weasley: "Did you really? How did it go?" 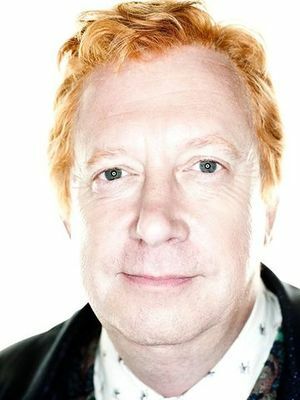 Arthur Weasley (b. 6 February, 1950) was a pure-blood wizard in the employ of the Ministry of Magic, as well as a member of the second Order of the Phoenix. He was a staunch believer in the equality of all magical and Muggle people and was the patriarch of the Weasley family. Arthur was born to Septimus and Cedrella Weasley (née Black) and had at least two brothers. He attended Hogwarts School of Witchcraft and Wizardry from 1961 to 1968 and was sorted into Gryffindor house. Soon after graduating, Arthur married Molly Prewett. During the First Wizarding War, he and Molly had six sons — Bill, Charlie, Percy, twins Fred and George Weasley, and Ron — and a daughter, Ginny and was not a member of the Order of the Phoenix, but it is unknown if he in any way participated in the first war. At some point after graduating from Hogwarts, Arthur began working for the Ministry, in the Misuse of Muggle Artefacts Office. In 1996, he was promoted to head of the Office for the Detection and Confiscation of Counterfeit Defensive Spells and Protective Objects by the new Minister for Magic, Rufus Scrimgeour. When the Second Wizarding War began, Arthur joined the Order. While guarding the Department of Mysteries, he was attacked by Lord Voldemort's pet snake Nagini, but he made a full recovery. Arthur participated in the Battle of the Seven Potters in 1997 and the Battle of Hogwarts in 1998, in which he suffered the devastating loss of his son; however, he survived the war. After the war, he saw his family expand even further with the addition of twelve grandchildren, through the marriage of many of his surviving children and returned as the Head of the Misuse of Muggle Artefacts Office. Arthur was born on 6 February, 1950 to Septimus and Cedrella Weasley (née Black). His mother was disowned for marrying a "blood traitor," as her family believed strongly in the notion of pure-blood supremacy. Arthur had at least two brothers. He attended Hogwarts School of Witchcraft and Wizardry from 1961 to 1968 and was sorted into Gryffindor House. In his third year in 1963, he probably chose to take Muggle Studies, due to his interest in Muggles. While at school, he met and began dating fellow Gryffindor Molly Prewett. Arthur got caught out of bed by the school caretaker Apollyon Pringle after he and Molly went for a night-time stroll one evening and was severely punished. Molly: "...all this uncertainty with You-Know-Who coming back, people think they might be dead tomorrow, so they're rushing all sorts of decisions they'd normally take time over. It was the same last time he was powerful, people eloping left, right, and centre..."
Ginny: "Including you and Dad." Molly: "Yes, well, your father and I were made for each other, what was the point in waiting?" Shortly after graduating from Hogwarts, Arthur and Molly married. Their marriage was rather rushed, as Lord Voldemort was gaining power during that time and the First Wizarding War began. Arthur was not a member of the first Order of the Phoenix; it is unknown if he was otherwise involved in the war. During the course of the war, he and Molly had seven children: Bill in late 1970, Charlie in 1972, Percy in 1976, twins Fred and George in 1978 (Fred was later killed during the Battle of Hogwarts), Ron in 1980, and the first daughter to be born into the Weasley family in generations, Ginny, in 1981. The war ended soon after Ginny's birth, but not before Arthur's brothers-in-law Fabian and Gideon Prewett, both Order members, were killed by Death Eaters. Arthur was upset when some Death Eaters, such as Lucius Malfoy, were able to get off scot-free by claiming that they had been under the Imperius Curse. Arthur believed they were lying, and he and Lucius were hostile towards one another whenever they crossed paths. At some point between his graduation from Hogwarts and 1992, Arthur gained employment in the Misuse of Muggle Artefacts Office at the Ministry of Magic, and also, he purchased a Muggle car, a Ford Anglia, and bewitched it to make it fly; in order to do so, he made sure to include a loophole in a law he wrote for the Ministry: as long as he was not intending to fly the car, it would be legal. In 1992, Ron, Fred, and George borrowed their father's car to rescue Harry Potter from Privet Drive. When Arthur returned to the Burrow after a night of Ministry raids, he was pleased to find out the car could indeed fly, until he caught his wife's eye; he then reprimanded the boys for doing so. When asked if he had found anything during the raids, he responded that they had only found a bunch of shrinking door-keys and a biting kettle. A few days later, the family, as well as Harry, went to Diagon Alley to purchase school supplies for the upcoming year. While there, they visited Flourish and Blotts, where Gilderoy Lockhart was having a book signing event, during which Arthur got into a fist fight with Lucius Malfoy over Arthur's fascination with Muggles. He was very excited to meet Hermione Granger's parents, both Muggle dentists, insisting on taking them out for a drink. When Harry and Ron were prevented from getting on Platform 9 3/4, the pair borrowed the Ford Anglia to fly to Hogwarts. As this was a serious potential breach of the Statute of Secrecy, Mr Weasley faced an inquiry at work over the incident. In the spring of 1993, Arthur and Molly were called to Hogwarts when it was learned the Monster of Slytherin had taken their daughter, Ginny, into the Chamber of Secrets. It turned out that Lucius Malfoy had planted an old school diary of Tom Riddle's on Ginny, which subsequently possessed her and forced her to open the Chamber. Ginny was nearly killed, but was saved by Harry Potter and her brother Ron. In autumn of the same year, when Sirius Black had escaped from Azkaban and was believed to be seeking Harry's death, Arthur wanted to tell Harry the truth. He discussed the matter with his wife in secret, not wanting Harry to panic. Harry, however, overheard their conversation. On Platform 9 3/4, Arthur and Harry briefly discussed what Harry had heard; while claiming to be pleased Harry was not scared, Arthur urged Harry not to go seeking Black. Barty Crouch Sr.: "DO NOT LIE! You have been discovered at the scene of the crime!" Arthur: "Barty, they're just kids!" Hermione: "It's the Dark Mark, Harry. It's HIS Mark." In the summer of 1994, Arthur managed to get himself and his family (as well as Harry and Hermione) tickets for the Quidditch World Cup from Ludo Bagman because Arthur had helped Otto, Ludo's brother, out of a minor scrape. The group sat in the Top Box, where they were confronted by the Malfoys, who were there by a personal invitation from the Minister himself, though both Arthur and Lucius were able to restrain themselves out of respect for Fudge. A little while after the Weasleys, along with Harry and Hermione, had returned to their tents, a group of masked Death Eaters began storming the camp-site, jinxing the camp-site manager's family and anything or anyone that got in their way. Arthur, along with Percy, Charlie, and Bill, went out to combat them. Before he left, he told Fred, George, Ron, Ginny, Harry, and Hermione to seek refuge in the woods, and that he would find them when it was safe. Upon seeing the Dark Mark in the sky, Arthur, along with other Ministry officials, Apparated at once to the location from where the mark had been cast. Upon arrival, he and the other Ministry officials immediately sent out stunning spells towards the suspected perpetrators, before realising it was Harry, Ron and Hermione standing in the clearing. He rejected the possibility that Harry, Ron or Hermione would have conjured it, even if they had known how to. After looking in the bushes in the direction that their Stunners had gone, they found Crouch's house elf, Winky, unconscious and on the ground next to her was Harry's wand, that he lost sometime during the Quidditch match. Despite the evidence that Harry's wand had, in fact, been the wand to summon the Dark Mark, Arthur refused to believe that either Harry or Winky could have been the ones to do it, and that someone else must have been responsible. Fred: "Percy and Dad had a row. I've never seen Dad row with anyone like that. It's normally Mum who shouts..."
Ron: "Percy came home and told us he'd been promoted... He expected Dad to be all impressed, I think." Ron: "He went completely berserk... He said Dad was an idiot to run around with Dumbledore, that Dumbledore was heading for big trouble and Dad was going to go down with him, and that he — Percy — knew where his loyalty lay and it was with the Ministry. And if Mum and Dad were going to become traitors to the Ministry he was going to make sure everyone knew he didn’t belong to our family any more. And he packed his bags the same night and left. He's living here in London now." In 1995, Arthur learned about the return of Lord Voldemort and joined the second Order of the Phoenix. A week into the summer holiday, Arthur got into an argument with his son Percy. Percy had recently been promoted to Junior Assistant to the Minister, working directly for Cornelius Fudge; he had hoped his family would be pleased, but Arthur suspected it was a move by the Ministry to put a spy in the Weasley family. Percy insulted his father, claiming that ever since he started at the Ministry, he had to struggle against Arthur's reputation, and that Arthur had no ambition, which was, in Percy's eyes, the reason behind the family's poor economic status. Percy continued by saying that Arthur was an idiot to align himself with Albus Dumbledore and that Percy's own loyalty lay with the Ministry of Magic. Percy soon moved out and found a flat in London. When Harry broke the International Statute of Secrecy by defending himself and his cousin Dudley against Dementors on 2 August, Arthur escorted him to his hearing before the Wizengamot on the 12th. While he normally Apparated to work, Arthur felt arriving in a non-magical fashion would make a better impression, given for what Harry was being disciplined. One night, while guarding the Hall of Prophecy for the Order of the Phoenix, Arthur was attacked by Voldemort's snake Nagini; the attack was witnessed by Harry, through his mental connection with the Dark Lord. Critically injured, Arthur was taken to St Mungo's. He survived the attack, but was required to take a Blood-Replenishing Potion at regular intervals. At the suggestion of trainee Healer Augustus Pye, Arthur tried stitches, a Muggle alternative, which Molly did not like. However, the stitches were not effective; Nagini's fangs apparently had a poison that dissolved them. Eventually, an antidote to the poison was found and, he was cured, coming home to find fellow Order members Severus Snape and Sirius Black in the middle of a heated argument. Despite this near death experience, Percy did not so much as question about his father's well-being. After the Ministry finally accepted the truth that Lord Voldemort had indeed returned to power, Arthur was promoted to the Head of the Office for the Detection and Confiscation of Counterfeit Defensive Spells and Protective Objects. However, this promotion by Rufus Scrimgeour might have been a way of trying to warm Harry up to the Ministry, given the time frame of events that took place; Scrimgeour was put down by Dumbledore on the idea of Dumbledore approaching Harry on Scrimgeour's behalf to get Harry to become a "mascot" for the Ministry of Magic. Having been told by Dumbledore that Harry would not want anything to do with the Ministry following the events of the previous year at Hogwarts, Scrimgeour, who knew that Harry was close to the Weasley family, might have then decided to promote Arthur so that Harry would possibly be more open to joining the Ministry (Molly did say that Arthur's promotion had been within days of Harry's arrival at the Burrow). Also during the summer the Burrow also became the home of his son Bill's new fiancée, Fleur Delacour, much to wife Molly's dismay. The Burrow was later placed under the highest security the Ministry could provide, due to arrangements to have Harry Potter stay there for the summer. During this time, Arthur would sometimes bring home news of odd accidents or disappearances, such as that of Garrick Ollivander, before they even reached the Daily Prophet. Arthur later accompanied several of his family members, as well as Harry and Hermione, to Diagon Alley, under Ministry protection [aka Hagrid]. Harry later spoke to Arthur about suspecting Draco Malfoy of joining the Death Eaters and having purchased something Dark from Borgin and Burkes to presumely use at Hogwarts, before leaving himself for Hogwarts. Later, Arthur once more personally searched Malfoy Manor for any possible Dark objects, to no avail. That year, he sent a letter to his son, Ronald to inform the latter that Harry's suspicions were correct. Harry, Ron, and Ginny spent Christmas at the Burrow, where Harry tried to persuade Arthur and Remus Lupin that there was indeed something Dark about Malfoy. Newly appointed Minister for Magic Rufus Scrimgeour also arrived at the Burrow, with Arthur's son Percy in tow. Scrimgeour attempted to recruit Harry, with little success, while Percy once again fell out with his family. Harry's suspicions about Draco Malfoy were later proved to be true. He helped Death Eaters to infiltrate Hogwarts and Dumbledore was killed by Severus Snape. Arthur and Molly later arrived at Hogwarts shortly after the Battle of the Astronomy Tower to see their son Bill, who was gravely injured by Fenrir Greyback during the conflict. The Weasley family sadly attended the funeral of Dumbledore, a man they respected greatly and who had led them as the head of the Order of the Phoenix. During the summer holidays, Arthur participated in the plan to evacuate Harry from the home of his aunt and uncle, before his seventeenth birthday. This was done due to Harry needing more protection from Voldemort and his Death Eaters along with the protection of having a "place to call home" being broken on his seventeenth birthday. He flew with his son Fred, who was one of the "seven Potters." Unfortunately, dozens of Death Eaters ambushed the Order members and the Battle of the Seven Potters ensued. Alastor Moody was killed by Voldemort himself in the conflict, while Arthur's son George lost an ear at the hands of Severus Snape, and Harry's owl Hedwig was killed by an unknown Death Eater (over which Arthur comforted Harry after the battle). Harry, however, was successfully transported to the Burrow, which was protected by powerful enchantments. During the wedding of Bill and Fleur, Kingsley Shacklebolt's Patronus arrived, informing the guests that the Ministry of Magic had fallen to Voldemort and that Scrimgeour was dead. Death Eaters then interrupted the reception and the Weasley family was placed under constant watch. Harry, Ron, and Hermione, however, escaped to 12 Grimmauld Place. After they arrived, Arthur's Patronus appeared and informed them that the rest of the family was safe, but warned them not to attempt contact. Arthur: "One moment, Runcorn. I hear you laid information against Dirk Cresswell... You tracked down the wizard who faked his family tree, didn’t you?" Harry (as Runcorn): "I — so what if I did?" Arthur: "So Dirk Cresswell is ten times the wizard you are. And if he survives Azkaban, you’ll have to answer to him, not to mention his wife, his sons, and his friends..."
However, Harry saw Arthur again while disguised as Albert Runcorn by use of Polyjuice Potion when he, Hermione, and Ron infiltrated the Ministry of Magic. He found out that Arthur was under surveillance by the Voldemort-controlled Ministry for his "blood traitor" status. Arthur was one of the few people who made his disgust for the Ministry's anti-Muggle and Muggle-born stance very clear. He confronted Albert Runcorn (actually Harry Potter in disguise) who seems to have been considered very intimidating by most Ministry employees, about turning Muggle-born wizard Dirk Cresswell in to the Muggle-Born Registration Commission. When Harry accidentally broke the taboo on Voldemort's name in 1998, the Death Eaters realised that Ron was with Harry, and the other Weasleys, including Arthur, were forced into hiding and prevented from going to work. They stayed with Molly's Aunt Muriel during this time. In May, Arthur arrived at the school to take part in the Battle of Hogwarts. His estranged son Percy arrived just in time to apologise to his family and express his wish to take part in the fight against Voldemort's encroaching army. Arthur and Percy reconciled, and all the Weasleys took part in the battle. Together, Arthur and Percy incapacitated Pius Thicknesse. Following this he witnessed his wife kill Bellatrix Lestrange and Harry defeat Voldemort. During the battle, Arthur lost his son, Fred, which devastated him, his wife and the rest of their children, as well as Harry and Hermione. In the years after Voldemort's death, Arthur's family grew even larger, with most of his children marrying and having children of their own. He probably assisted in the de-corruption of the ministry and would have carried on with his life improving Muggle rights with Kingsley Shaklebolts personal help. Like many other members of the Weasley family, Arthur had bright red hair, though he was balding by the early 1990s. He wore glasses and had blue eyes, and also possessed the tall, thin build inherited by his sons Ron and Bill. He also had visible marks somewhere on his body from a decent caning whilst at Hogwarts, for being late. The punishment was set by the caretaker at the time, Apollyon Pringle. While Arthur Weasley was often seen as "fun" in the earlier years, with the return of Lord Voldemort and the gathering crisis in the wizarding world he shouldered a role of increasing challenges, assuming duties within the Order of the Phoenix in addition to new responsibilities at the Ministry. He was protective of Harry, and at times assumed a father like role, a position previously occupied by Harry's godfather Sirius Black, and by Albus Dumbledore, the Headmaster of Hogwarts. In the wizarding world, Arthur Weasley played the role of a well-meaning, reasonably competent every-man, trying to raise a family and do the right thing. He loved his own flesh and blood so much that the only times he was mentioned to lose control of himself were when any of his children were hurt. He was a man of principle and remained loyal to Dumbledore, even though this impeded his advancement in the Ministry of Magic and cost him the respect of Percy, who also worked at the Ministry but agreed more strongly with the policies of the Minister for Magic. As a pure-blood wizard who refused to discriminate against Muggles, Muggle-born, half-blood wizards and witches or half-breeds or cursed beings such as werewolves (Remus Lupin) and giants/half-giants (Rubeus Hagrid), Arthur earned the contempt of Lucius Malfoy, among others, and was considered a "blood traitor." Arthur was fascinated at how Muggles were able to go about their lives without magic. Whenever he found himself in close proximity to them, he had a hard time containing his enthusiasm. During Harry's stays at the Burrow, he liked to sit next to Harry, in order to ask him questions about living with them, and had at various times attempted to engage the Dursleys in conversation about electricity. In 1992, when he learned Harry had never travelled by the Floo Network, he joyfully began to ask about the "escapators" in the London Underground. When the Weasleys and Harry met Hermione Granger in Diagon Alley that same year, Arthur was ecstatic to meet Hermione's parents, both Muggles, who were exchanging money at Gringotts. While the other family members went shopping for school supplies, Arthur insisted on taking Mr and Mrs Granger for a drink in the Leaky Cauldron. In addition to his Ford Anglia, Arthur also collected a number of other Muggle items. He had a large collection of plugs and batteries, as well as other undisclosed items in his shed. After successfully transporting Harry to the Burrow in the aftermath of the Battle of the Seven Potters, Arthur showed Harry the remains of Sirius' motorcycle and told him he was eager to learn how the brakes worked and that he also wanted to put it back together when Molly was not around. In time, Arthur did put it back together and returned it to Harry. Because of his fondness for Muggles, in 1992 he drafted a proposition for the Ministry called the Muggle Protection Act. Many pure-blood wizards took offence to this, and Lucius Malfoy attempted to sabotage Arthur's plans; by planting Riddle's diary on Arthur's daughter, he hoped to discredit Arthur and bury the legislation. When he took his family, Harry, and Hermione to the Quidditch World Cup in 1994, he was adamant about remaining incognito. He insisted on putting up their tents by hand and cooking their food outside with a fire. While somewhat familiar with the concept, he had trouble with a Muggle matchbox; he would light a match and subsequently drop it in surprise. In the end, he managed to get the fire lit with Hermione's help. When Death Eaters started a riot after the cup, Arthur was one of the people who acted to protect Muggle victims. His wall in the Misuse of Muggle Artefacts Office was covered with Muggle pictures, including several of Muggle cars (one of which was a disassembled motor), Muggle post boxes, which he appeared to have cut out of a Muggle children's book, and a diagram of how to wire a plug. His greatest ambition was to find out how Muggles were able to keep aeroplanes airborne. Charms: Arthur was very skilled at Charms, having put various charms, spells, and enchantments on Muggle objects. This can be seen when he charmed a car to be able to fly and become invisible. Also he was able to enchant Sirius's flying motorcycle to produce fire like that of a dragon's as a weapon and a brick wall as a defence from the tail-pipe. He was also able to conjure a corporeal Patronus in the form of a weasel, which is very advanced magic. As a member of the Order of the Phoenix, he was able to send messages using his Patronus. Duelling: Arthur was a skilled duellist, surviving the Battle of the Seven Potters and was chosen to lead one of the teams of combatants onto the grounds during the Battle of Hogwarts. He ultimately survived the Battle of Hogwarts and, along with his son Percy, he took down the Imperiused Pius Thicknesse in the latter half of the battle. Non-verbal magic: Arthur was able to perform a nonverbal Oculus Reparo. Transfiguration: Arthur was shown to be sufficient at this type of magic. He was able to perform conjuration, an advanced form of Transfiguration; for example, he conjured several chairs for his family when they came to visit him at St Mungo's, with seemingly little effort. Apparition: Arthur was shown to be adept at apparating, as he was described as making a faint "popping" noise. Inexperienced apparition users made a loud "crack". Arthur was the son of Septimus and Cedrella Weasley. They were both pure-bloods, although Cedrella was disowned by her family, because she married a blood-traitor. The relationship between them is unknown; it is possible that his father's point of view made Arthur realise that there was no difference between wizards and Muggles. Arthur also had at least two brothers. Arthur eventually married Molly Prewett, whom he had been dating since Hogwarts, and they had seven children; Bill, Charlie, Percy, the twins Fred and George Weasley, Ron, and Ginny. Arthur was less strict than his wife, and his children thought he was funny. He had a good relationship with all of them, before his son Percy became angry with him. However, during the Second Wizarding War, Arthur appeared to have been more protective, because he was afraid of what happened to his children. His son Bill was a very good student; he had become prefect and Head Boy during his years at Hogwarts. He later worked for Gringotts in Egypt and married Fleur Delacour. Charlie was also a good student; he was prefect and Captain for the Gryffindor Quidditch team. He studied dragons in Romania, but he never married. He also had a good relationship with Percy, but their relationship was broken up in 1995. Percy was more serious than his father, and they both worked for the Ministry of Magic, although Percy loved to obey the rules and was also very ambitious. Arthur forgave his son in 1998, during the Battle of Hogwarts. His sense of humour was similar to Fred and George's. He loved them very much, and, although they were not model students, Arthur knew they were very clever wizards. However, the only time he was disappointed in them was during 1994 when they "accidentally" left a Ton-Tongue Toffee for Dudley Dursley to have. Fred was killed during the Battle of Hogwarts; Arthur was grief-stricken over his death. Arthur was very protective of Ron and Ginny, who were his youngest children. Ginny was the youngest and the only daughter. When she was possessed by a memory of Tom Marvolo Riddle, in a diary, Arthur was very upset; he shouted at Ginny, saying that he had told her not to trust magical objects that had a mind of their own. He also helped Ron to his mission; he hexed the family ghoul, along with Fred and George, in order to make it look like Ron, who had gone to help Harry and Hermione find and destroy Voldemort's Horcruxes. After the Second Wizarding War, Arthur's family extended even more, through his children; he appeared to have at least twelve grandchildren: Victoire, Dominique and Louis, who were the children of Bill and Fleur; Molly and Lucy, Percy and Audrey's children; Fred and Roxanne who were the children of George and Angelina Johnson; Rose and Hugo, who were Ron and Hermione's children; and James, Albus and Lily, who were Ginny and Harry's children. He had a good relationship with his grandchildren, but, according to Ron (who may or may not have been joking), he would not let them marry any pure-bloods. Harry Potter was Ron's best friend. He met Arthur in 1992, at the Burrow. Arthur liked to discuss Muggle things with Harry Potter and had entrusted Harry with certain information that many felt him too young to understand, such as in 1993 when the Ministry would not tell Harry that they thought Sirius Black was going to seek him out. Harry had also saved Arthur's life once when Harry saw him being attacked by Nagini in the Department of Mysteries before Christmas of 1995. They fought together at the Battle of the Seven Potters and the Battle of Hogwarts, and both survived the Second Wizarding War. As Molly once said that Harry was like a son to her it is very possible that Arthur felt the same way. Arthur became like a father to Harry. Harry married Arthur's daughter Ginny and became Arthur's only son-in-law. He also had three children with Ginny, who are some of Arthur's many grandchildren: James, Albus, and Lily. Because of her friendships with Ron and Ginny, Hermione Granger became friendly with the entire Weasley family. She spent a portion of many of her summer and Christmas holidays at their home of the Burrow and attended some family outings with them, such as shopping for school supplies in Diagon Alley and attending the 1994 Quidditch World Cup with them. Arthur was fascinated by the Muggle world and thus Hermione's background and even invited Hermione's parents for a drink upon first meeting them. He seemed to like Hermione, as if she were his daughter. Hermione married Ron, and became one of Arthur's many daughters-in-law. She also had two children with Ron, who were Arthur's grandchildren; Rose and Hugo. Arthur considered Albus Dumbledore as being the greatest wizard of all time. Dumbledore was the Hogwarts headmaster at the time Arthur attended Hogwarts. They were both sorted into Gryffindor house and appeared to be friendly. They both believed in the equality of all wizards and muggles. Dumbledore seemed to like most people, especially the Weasleys, because they were all fair and good people. Arthur also served in the Order of the Phoenix during the Second Wizarding War with Dumbledore, who was the leader. When Arthur was bitten by Nagini, Dumbledore was upset; he helped find him, using the portraits that were hung at the office of Dumbledore. In 1997, Arthur learned about Albus Dumbledore's death and that Severus Snape was the murderer. Arthur was very sad and sat with his family, the professors, and other students, discussing about how Snape killed Dumbledore. In fact, Dumbledore, who was about to die as a result of wearing a cursed ring, had asked Snape to kill him, because Dumbledore did not want the other Death Eaters to guess Snape's true loyalties, did not want Draco Malfoy to become a murderer, and did not want to die a painful, drawn-out death. Lucius: "What’s the use of being a disgrace to the name of wizard if they don’t even pay you well for it?" Arthur: "We have a very different idea about what disgraces the name of wizard, Malfoy." Lucius: "Clearly. Associating with Muggles. And I thought your family could sink no lower." Arthur and Lucius Malfoy despised each other often exchanging insults when they met and even getting into a fistfight on at least one occasion. Lucius disdained the Weasley family for its poverty and so-called blood traitor status; while the Malfoys prized their pure-blood heritage, the Weasleys accepted Muggles and Muggle-borns. He and Arthur apparently clashed multiple times over this at the Ministry of Magic, where Arthur worked and Lucius visited regularly to see Minister for Magic, Cornelius Fudge. When Arthur proposed the Muggle Protection Act in 1992, Lucius was furious to the point of trying to sabotage Arthur by placing an old diary of Tom Marvolo Riddle’s on Arthur’s eleven-year-old daughter, Ginny, endangering her life as well as those of Muggle-born Hogwarts students, as this led to the opening of the Chamber of Secrets. Also, Arthur never believed Lucius' claim that he had been under the Imperius Curse during the First Wizarding War, indicating that their enmity likely dates back to their younger years. In 2017, Ron stated that Arthur would be very angry if Rose married Lucius's grandson, mainly because the latter was a pure-blood. Arthur had a good relationship with most members of the Order of the Phoenix. Arthur was not an official member of the first order, but he became during the Second Wizarding War. He seemed to know Sirius Black since the First Wizarding War. After the war, Sirius was imprisoned in Azkaban for betraying the Potters to Voldemort and killing twelve Muggles. In fact, Peter Pettigrew had committed the crimes and blamed Sirius. Arthur believed that when Sirius escaped from the prison, he wanted to kill Harry Potter. He told Harry not to try to find Sirius, as he knew that Harry would learn about Sirius's crimes. Harry, Ron, and Hermione learned the truth in 1994, and Pettigrew escaped again. Arthur and Sirius became friendly in the second Order. They lived in the same house for a short time; Sirius also tried to comfort Arthur's children when Arthur was bitten by Nagini. Sirius was killed by his cousin Bellatrix Lestrange, during the Battle of the Department of Mysteries. Arthur's first reaction is unknown; he only tried not to talk about Sirius in front of Harry, knowing how that would make the boy feel. Arthur and Sirius were also distant relatives, through Arthur's mother. Arthur appeared to be on good terms with Remus Lupin, too. Remus was a werewolf, but Arthur did not care about that; he thought Lupin was a good person. Furthermore, they had the same beliefs about blood purity, and they were both poor. Lupin was the Defence Against the Dark Arts professor at Hogwarts for a short time when Ron, Ginny, Fred, George and Percy were attending the school. They all thought Remus was a good teacher. Arthur and Remus became members of the Order during the Second Wizarding War; they fought together at the Battle of the Seven Potters and the Battle of Hogwarts; during the final battle, Remus was killed. His body lied near Fred's, and the Weasley family looked very sad by both deaths. Arthur seemed to like his daughter-in-law, Fleur Delacour. Unlike his wife and daughter, Arthur did not dislike her; after the war, Arthur had three grandchildren through Fleur. Rubeus Hagrid was a member of the Order and very loyal to Dumbledore. He seemed to know the Weasleys since their earlier years, as they appeared to be friends in 1992. Hagrid told Arthur not to argue with Lucius Malfoy, believing that he was not worth it. Hagrid was also the Care of Magical Creatures professor of Ron and Ginny. The whole Weasley family appeared to be friendly with Hagrid. They were members of the Order who fought together at the Battle of the Seven Potters and the Battle of Hogwarts. They both survived the war. Arthur had a high opinion of Alastor Moody, who he had met at the Ministry of Magic. He thought Moody was a little mad but a very powerful and brave Auror, who had captured dozens of Death Eaters. They were friends, as well as members of the second Order. Arthur's children thought Moody was mad, too. Moody led the group of order members that fought at the Battle of the Seven Potters. Moody was killed by Lord Voldemort during the battle. Arthur was sad about his death. Arthur also seemed to be on good terms with Severus Snape, despite the fact that Snape disliked his children. However, when he learned that Snape killed Dumbledore, he and his family obviously turned against him but that was most likely retracted when he learned of Snape's true loyalties from Harry. Arthur was also friendly with Nymphadora Tonks. Tonks was a young woman, as well as an Auror. Arthur and Tonks also knew each other through the Ministry of Magic. During the Battle of the Seven Potters, Tonks was responsible for Ron, they were paired together. Tonks managed to save herself and Ron from Bellatrix Lestrange, and then Arthur thanked Tonks. She was eventually killed by Bellatrix during the Battle of Hogwarts. Her dead body was put near Fred and Lupin's, and the Weasleys looked very sad by the deaths of all of them. He appeared to be a friend of Kingsley Shacklebolt, as well. They were only members of the second Order. They fought together in many battles and survived the Second Wizarding War. Many members of the Order were killed during battles, in both wars; Arthur was one the very few remaining ones. Arthur is portrayed by British actor Mark Williams in the film adaptations of Harry Potter and the Chamber of Secrets, Prisoner of Azkaban, Goblet of Fire, Order of the Phoenix, Half-Blood Prince and Deathly Hallows: Part 1 and Part 2. Arthur was originally intended to die in either the fifth or seventh book (particularly when Nagini attacked him), but J. K. Rowling decided against it, because he was "one of the few good fathers in the series." Remus Lupin and Nymphadora Tonks, two other good parents, were killed off to compensate for this. There may be a pattern in the Weasley family of naming after characters in Arthurian Legend. King Arthur was a legendary British ruler; the names "Percy" and "Ginny" may also be derived from the legendary figures of Percival and Guinevere, respectively. Ron could have originated from the name of King Arthur's spear. In the film adaptation of Harry Potter and the Chamber of Secrets, he comments to Mr and Mrs Granger "I understand other Muggles are quite afraid of you." This refers to a common Muggle phobia of visiting the dentist, as Mr and Mrs Granger are both dentists. In the films Arthur is shown without glasses, and he is not balding, as he is described in the books. In fact, Arthur's hair appears to lengthen as the film series progresses. He also wears bow-ties in the films, something which was not acknowledged in the novels. In the film adaptation of Harry Potter and the Prisoner of Azkaban, when Arthur is telling Harry about Sirius Black, Harry uses the name "Voldemort" and Arthur tells him not to say the name; but in the film adaptation of Harry Potter and the Half-Blood Prince, when Arthur is talking to Harry about Draco Malfoy, Arthur actually says the name "Voldemort." In the film adaptation of Harry Potter and the Goblet of Fire, Arthur Weasley attended the third task for the Triwizard Tournament. In the book, Arthur was notably the only one of the older Weasley family members that did not attend any of the tasks, with Charlie managing the dragons in the first task, Percy filling in for Crouch Sr. in the second task, and Molly and Bill attending as part of the audience during the third task. These four were cut from the film. In the video game adaptation of Harry Potter and the Deathly Hallows: Part 1, it is Arthur who reads Dumbledore's will and gives the trio what was left for them, rather than Rufus Scrimgeour. It is revealed in the sixth book that his greatest ambition is learn how aeroplanes stay up. ↑ Although it has never been confirmed that Septimus and Cedrella are Arthur's parents, this can be inferred based on Sirius Black's statement in Ch. 6 of Harry Potter and the Order of the Phoenix that Arthur was "something like [his] second cousin once removed." The Black family tree establishes Cedrella as a first cousin once removed of both Orion and Walburga Black, Sirius's parents. Thus, any children she had would be their second cousins, and second cousins once removed of their sons Sirius and Regulus. Also, almost all of Sirius's relatives can be seen on the Black family tree because both his parents were born into the House of Black, making it unlikely that he could be related to Arthur in a way not shown. See also this talk page and an HPL essay for more information. This page was last edited on 1 July 2015, at 09:12. This text is available under the GNU FDL and may have been adapted from the Wikipedia article about Arthur Weasley (history).